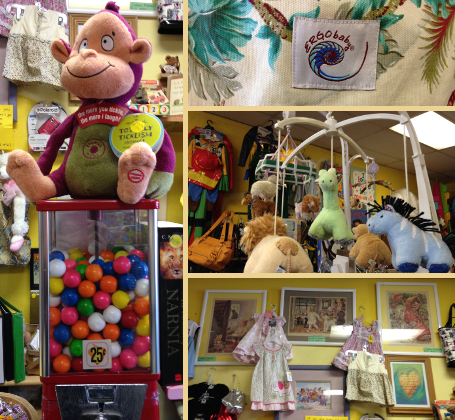 Established in 2000, Noodles Children's Resale Boutique has served the neighboring communities for almost twenty years, offering a safe, clean place to recycle gently used children's clothing and baby gear. Owned and operated by Culver City-native Gwen Call, Noodles promises to quickly and fairly review items for resale and subsequently sell those items at the most reasonable price possible. Note: We cannot offer cash for resale items. We offer store credit at the time of your appointment, whether or not the items sell. You do not have to wait to use your credit. Noodles Children's Resale Boutique loves kids, moms, dads, families, and serving the community. Thank you for visiting! 12pm - 6pm on Sundays!